Retired Veterinary Tech, 20 + years experience, with dogs, cats,rabbits,birds,some exotics, and rescues. have served in NZ Army,spent last 20 years as a forester, married to toni, have 2 daughters, Eden 15, Jamie. Would love to visit America and stay for a while. your house would be in safe hands. Preferred sit locations: Los Angeles, San Francisco. 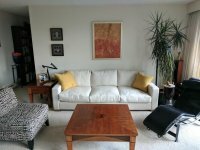 House sit wanted in Eastern Mass. I am a out going,loving, honest,respectful person. I just graduated college for vet tech.I have nannied the past 6 years and i have also pet sat during the same time. I give my love to animals. I have to say with my job pet sitting i enjoy waking up and knowing you get to be around a fur friends. I am 22. I have a Bachelor of Science Degree. I have recently accepted a internship at Disney and I am looking to house sit for the six months I am working there. I am a single lady who LOVES animals of all kinds.And I've been a caregiver over 40 yrs and I need a change of scenery and I would like to sit and care for your house and animals. I prefer country settings.Thank you and God bless. We are relocating to Southern California and are available for house sitting. We own our home in Bend, Oregon. My husband is a professional photographer and I retired after 20 years in Real Estate. So managing homes, repairs, up keep etc are not uncommon to us. MS in Management, responsible, reliable, forward thinking and mature. 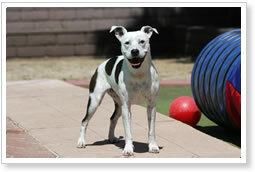 I am a young male love pets very trueful. outstanding work record. My health is excellent do loads of good habits and have a positive attitude. Please contact me for personal references. Trustworthy mom to care for your home! Responsible, mature professional couple previously from SoCal wanting to spend more time there near friends and family. Flexible on dates and locations in Orange County area. 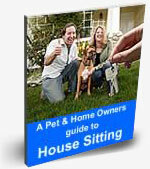 Experience house sitting and pet sitting for friends. Neat, clean, non smokers. Excellent references!